1. To make the vinaigrette, combine raspberries, olive oil, and vinegar. Puree in a blender for ~30 seconds until smooth. 2. To blister the corn, rube each ear with a bit of olive oil and place on a grill or grill pan over medium-high heat. Turn every 2-3 minutes or until all sides are slightly blistered. Remove from grill or grill pan and let cool. Slice kernels off cob with a serrated knife. 3. 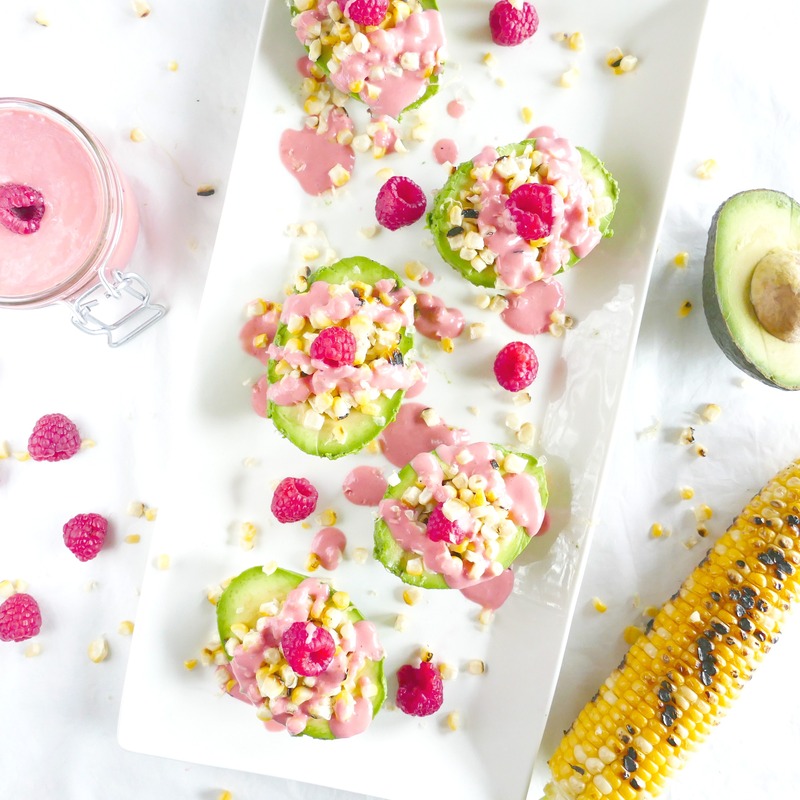 Fill avocado cups with blistered corn. Drizzle with raspberry vinaigrette, top with a fresh Driscoll’s berry, and serve!